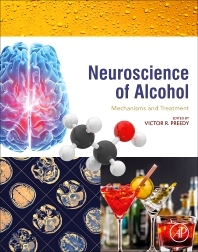 Neuroscience of Alcohol: Mechanisms and Treatment presents the fundamental information necessary for a thorough understanding of the neurobiological underpinnings of alcohol addiction and its effects on the brain. Offering thorough coverage of all aspects of alcohol research, treatment and prevention, and containing contributions from internationally recognized experts, the book provides students, early-career researchers, and investigators at all levels with a fundamental introduction to all aspects of alcohol misuse. Alcohol is one of the world’s most common addictive substances, with about two billion individuals worldwide consuming it in one form or another and three million annual deaths that are associated with alcohol misuse. Alcohol alters a variety of neurological processes, from molecular biology, to cognition. Moreover, addiction to alcohol can lead to numerous other health concerns and damage virtually every organ system in the body, making diagnosis and treatment of individuals addicted to alcohol of critical importance. 47. Alcohol and Central Glutamate Activity: What Goes Up Must Come Down?